You naïve, presumptuous dingbat. If no one even knows whether to classify chili as a solid or a liquid, how do you dare think you possess remotely enough knowledge to form even the whispers of an opinion about this majesty of a dish, you simpleton? Plus, what do you mean “Why would I take a quiz that informs me of my own preferences?” I don’t know. Why would you take a quiz on which couch from the TV series Friends you are? Because you’re on the internet and it’s here. It’s three minutes of your life. Four if you’re a slow reader or indecisive person (s/o 2 u guys luv u!!!). Now quit whining and discover your chili opinions, you dweeb. What word or phrase do you use most to describe cold weather? Like the arctic freakin’ tundra out here! Like the southern tip of Chile in June. I studied abroad there last year, so I’m pretty knowledgeable about that kind of stuff. Santiago is absolutely amazing this time of year. As cold as my hopeless heart when I found out that my favorite chili brand and life’s pride and joy, Chi-Chi’s, had gotten bought out by those soulless corporate bastards at Hormel. On average, how much do you spend on chili per year? Probably about as much as the average person would spend, I guess. Probably about as much as the average person would spend on a modest family sedan, I guess. Probably about as much as the average Flavor Flav would spend on clocks, I guess. That’s incredibly personal, and I resent your attempt to pass judgement on my lifestyle. I still put money in savings, okay? I put 15 percent of my paychecks in savings which is MORE THAN THE RECOMMENDED AMOUNT for Millennials at our stage in life. So STOP insinuating I have some sort of “problem.” Spending my rent and tuition money on chili EVERY SO OFTEN is NOT a “PROBLEM.” If you’re SO QUICK to JUDGE people you DON’T EVEN KNOW, then it’s YOU who has the PROBLEM. I suggest you take a good hard look at yourself in the FREAKING MIRROR and examine your OWN LIFESTYLE, you jerkface. Cows because beef is in my favorite type of chili. Humans because people are in my favorite type of books. Cows because beef is in my second favorite type of chili (Wolf Brand turkey chili 4 life!!!). Which cover of a hit song with lyrics modified to revolve around chili is number one on your “most played” playlist? “Can’t Stop” by the Red Hot Chili Peppers -- this one didn’t even need to be altered because, as true RHCP fans know, upon close examination, the lyrics to this song are actually about chili. When you invented secret languages as a kid, how many of them were based on chili, and is at least one of them your primary or secondary form of communication today? I didn’t really invent languages as a kid; I was more of a left-brained little scamper back in the day. There was about a weeklong period when I was in sixth grade where whenever someone would ask me a question I would only respond by singing “I want my baby back baby back baby back baby back” … but that’s really a Chili’s-based language, though. I speak six chili-based languages, every language easy as the recipe for making JELL-O. Not chili, you nitwits. Making good chili is not easy; it is a goddamn ART. I’m orryschili, I’m avinghchili roubletchili nderstandinguchili the estionquchili. My nglishEchili isn’t as trongschili as it used to ebchili. MOSTLY 1's: YOU DON’T LIKE CHILI Have a terrific time enduring the unrelenting and eternal bombardment of brimstone in the fiery pits of H-E-Double-Chili-Ladles, you heathen. Here’s a link to virus.com. It’s the least you deserve. MOSTLY 2s and 3s: YOU MODERATELY LIKE CHILI Countless historical figures have been quoted saying variations of the statement, “The opposite of love is not hatred but indifference.” Congratulations on being the worst type of person. MOSTLY 4s: YOU LOVE CHILI! And it loves you. Just kidding. No it doesn’t, you dunce. It’s inanimate. But it’s a fact you have to face. 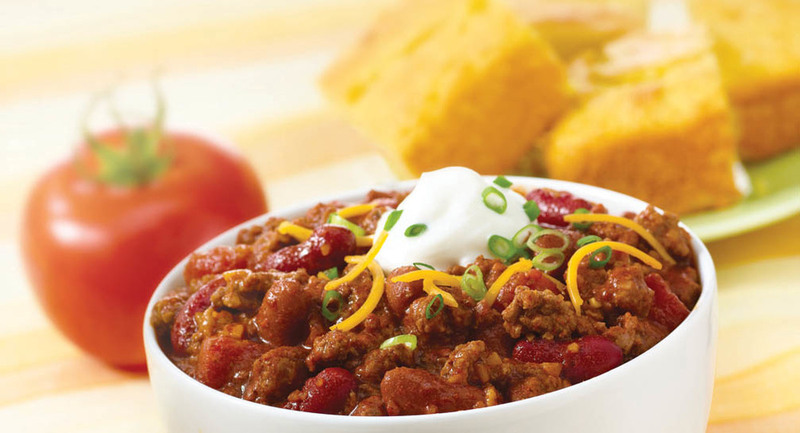 Your love of chili will never, ever be reciprocated. You are one of us now. Come with us. Come with us. Come with us ….